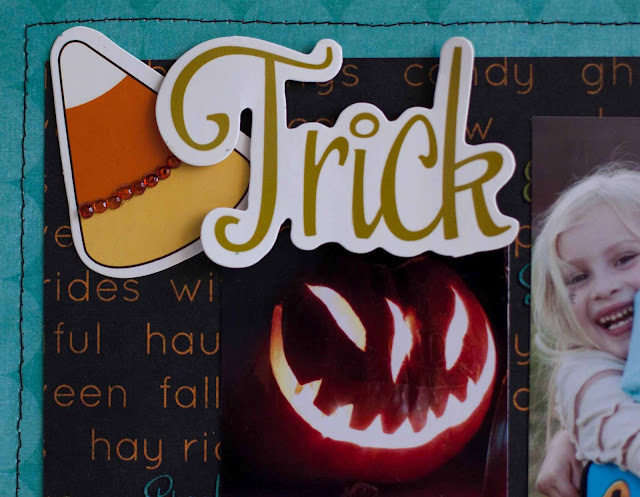 My Cluttered Corner: Imaginisce Monster Mash Release! Can I tell you how excited I am for Halloween this year? Halloween is usually the first night we have decent weather. We always trick or treat with friends and this year we are planning a family costume! I am so excited! So, I was super thrilled to work with the new Imaginisce Monster Mash. 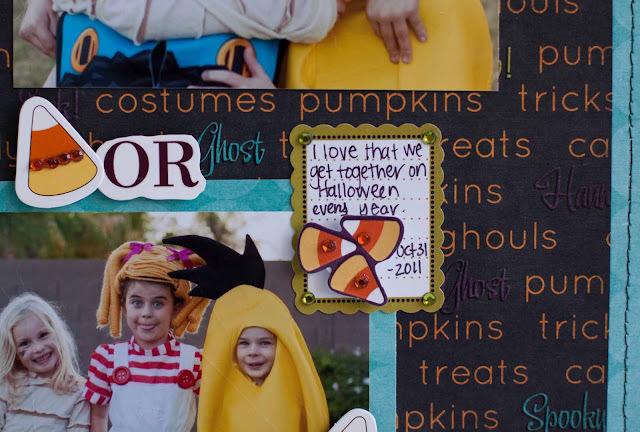 Check out the Imaginisce Blog for lots of examples using this fun new line. 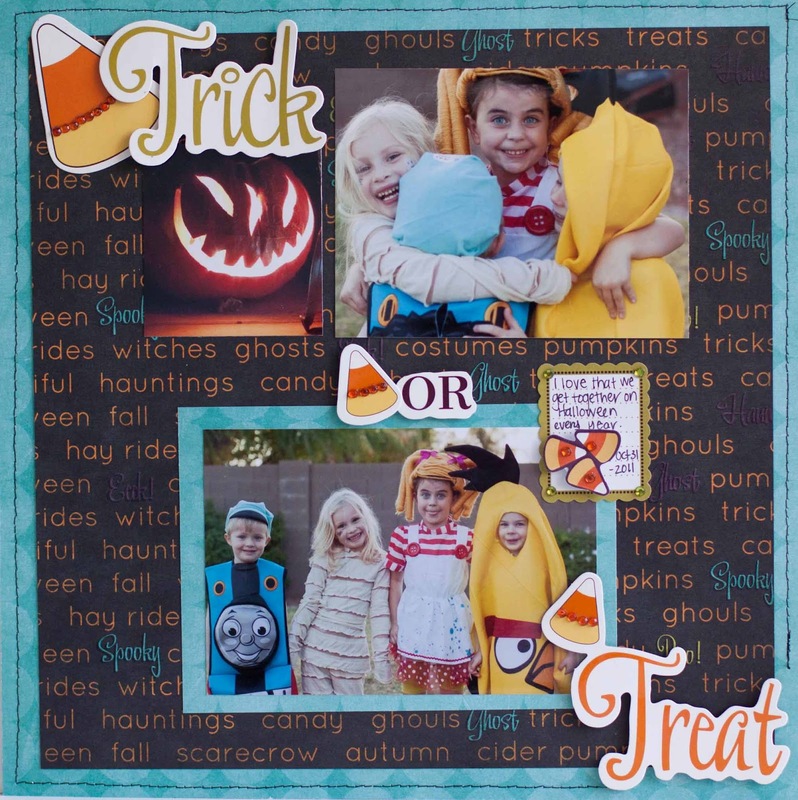 I made a trick or treat layout. The title is actually ONE die cut, which I cut into three pieces. 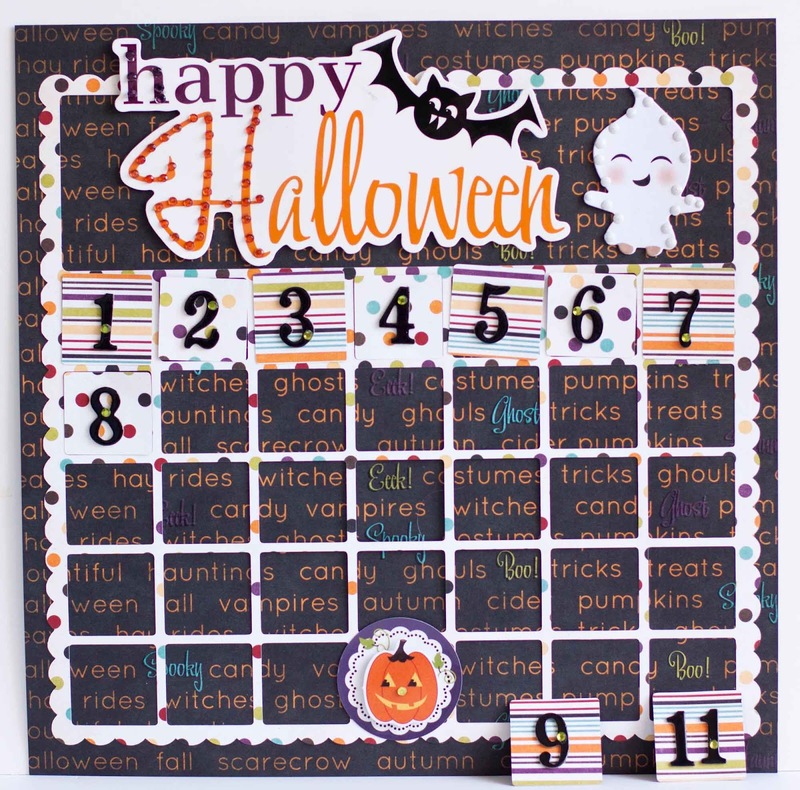 My second project is a Halloween advent calendar. Now I am even more excited! I can NOT wait for Halloween! 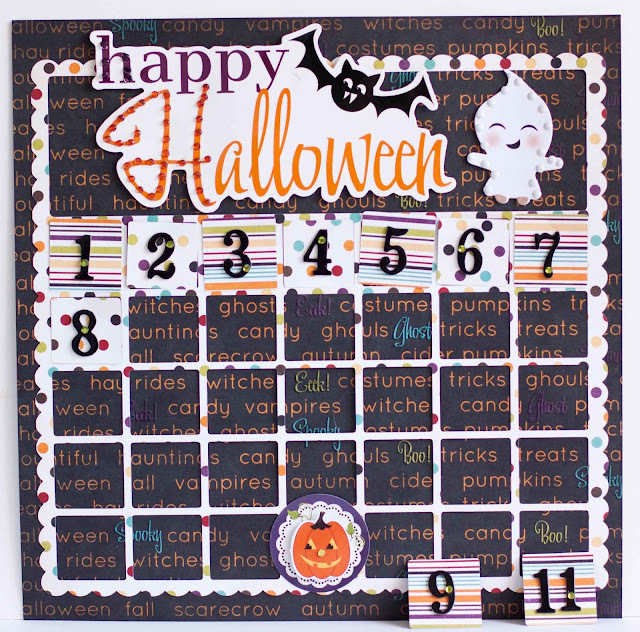 Very cute layout and I love the calendar idea. 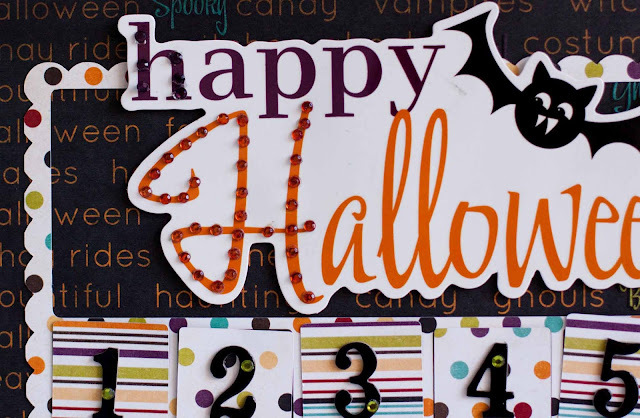 I TOTALLY agree about Halloween-LOOOVE it! and I'm excited to take pictures!! ;) This layout is TOTALLY fun! totally lovin that advent calender Rebecca! Such a cool countdown calendar! We love Halloween too!